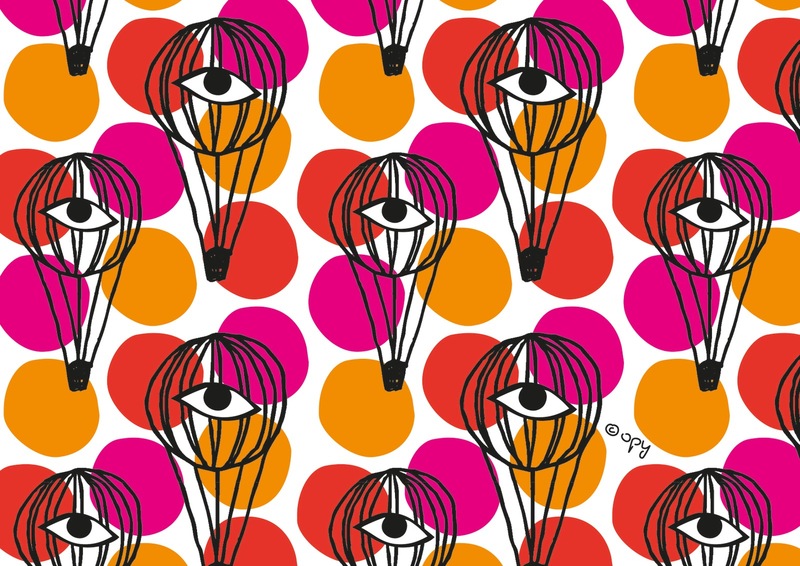 And for my 1st post ever: hot air balloons & eyes, yes! I love it. Watching, observing, spying while flying on a sweet ride, why not? Gives me a feeling of freedom, a feeling of being constantly learning & getting inspired by the world around me. Colours: no logical explanation about them, I just love the combination, they are vibrant & probably how the colour of passion should be. Saying all this pretty much resumes the reason for this pattern. I leave you now, till next time, another week another pattern! PS: I've never been on a hot air balloon, my promise today: I will do it before this project ends! nueva etapa creativa.. MUY BIEN!!!!! !